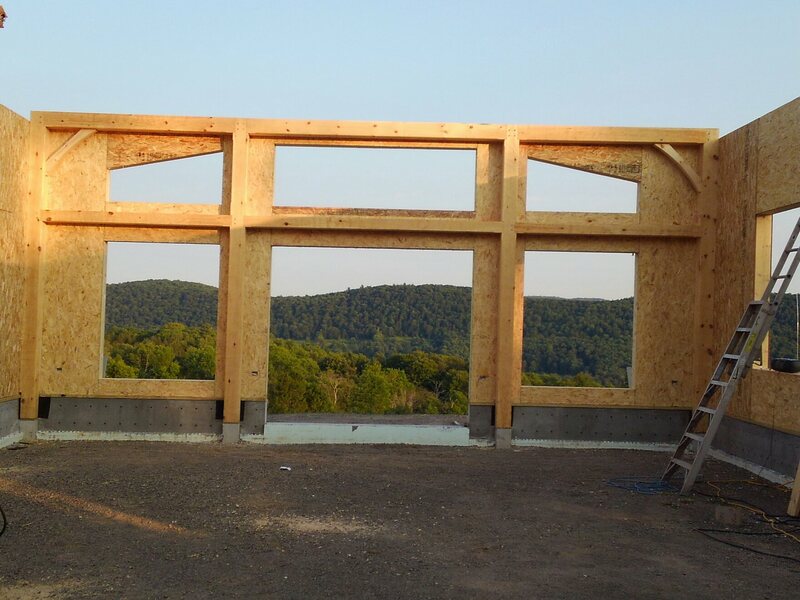 We manufactured these 8-1/4″ SIPs in early July. We also pre-cut them in our shop. The customer installed his own panels. The building is now ready for the conventional truss roof. The truss roof will be insulated with Cellulose which will provide a very energy efficient space combined with the wall SIPs. We should have more photos of this build along the way.